Hans was born in Amsterdam in 1951 and moved to Canada when he was 6. As a child he grew up in a house with his parents and three brothers in Edmonton. Now he lives in a house with 2 roommates. He enjoys painting, listening to music, going walking or go the mall and shopping. He enjoys hockey games and TV. He has been involved with art for several years and really enjoys watercolour and acrylic paints. He has started to do pictures of animals and figures. In the last couple of years, Hans has joined the dance group where he adds a totally different sense of pace to the group. 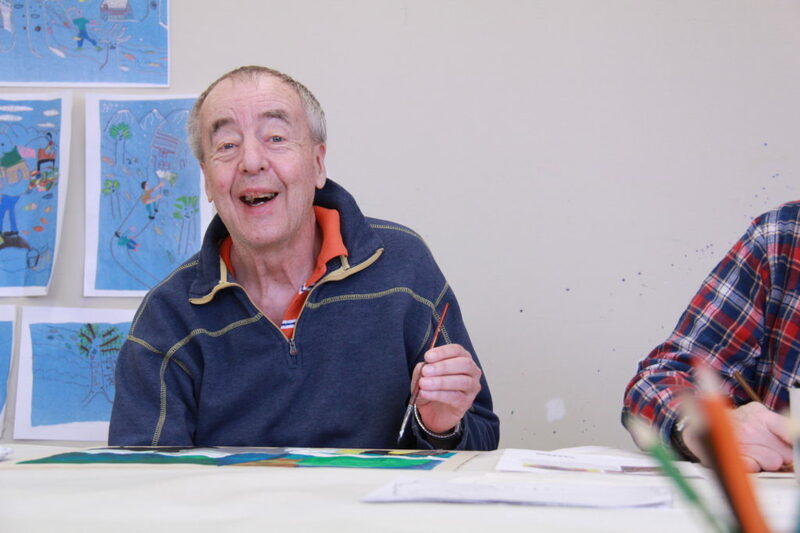 He says all art makes him feel good and helps him to relax.